It took me almost an hour to climb up this giant sand dune in the Gobi desert, Mongolia. It’s like two steps forward and one step back to climb up theses things. And on top of that I did it two evenings in a row, because the sunset the first time up, wasn’t any good. But it was well worth the effort. 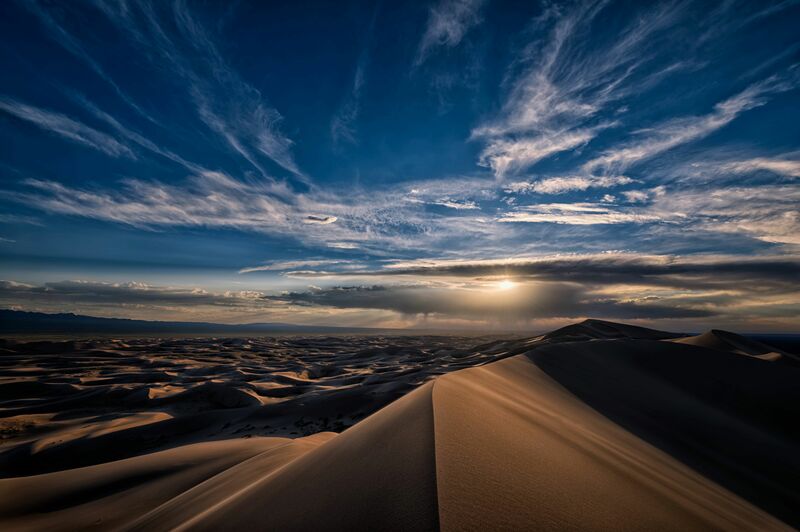 Dunes by Bo47 is licensed under a Creative Commons Attribution-NonCommercial-NoDerivatives 4.0 International License.